These short blade, high leverage scissors are incredibly strong and sharp! 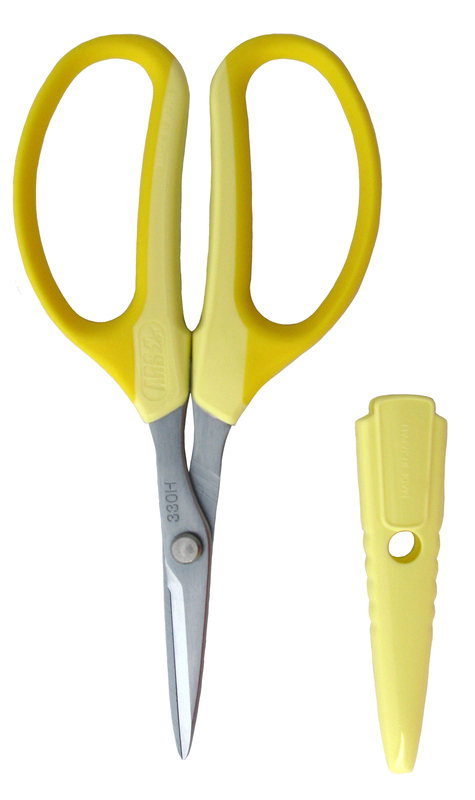 Constructed of high carbon tool steel for the strongest blades available, and then hard chrome plated for rust and sap resistance, these scissors will easily cut through leaves, stems, fabrics, plastics, and even electrical wire. The blades are Marquench hardened to hold their edge an extra long time! Ideal for harvesting and pruning. Incredibly strong steel designed to stay sharper longer!